Came to Park City to ski and tweaked my back first day. Dr. Sean got me in right away and spent a lot of time ‘fixing’ me. Showed me some additional moves to stay tuned up while I was there for the week. When I go back, I’m just going to get tuned up before my skiing. Thanks, Dr. Sean! Highly recommended. Sean is an amazing chiro who I’ve been seeing for a few years now. He’s very attentive and customizes each visit specifically for me and spends quality time each time I’m in there. I’d highly recommend him to anyone that’s in the area and looking for a good adjustment! My father, my grandfather, and both of my sisters back east are all chiropractors. I’m very picky about who I see. Sean is the real deal. His technique is firm and precise and his visits are quick but very thorough, indicating an interest in full body wellness. He doesn’t insist on unnecessary follow-up visits or push supplements. He just works on your alignment and offers simple recommendations like stretching and hydration. Sean is confident, compassionate, and easy going. I appreciate that I can make an appointment via text message, often on short notice when I need help the most. My wife and my 7 year old son also enjoy visiting, as Sean is able to adjust his technique to suit each patient. I highly recommend Chiropractic Works. Just had my first alignment today! Thanks Sean! Feeling great. He actually pulls out books and explains what he is doing while in the process of alignment. Super cool guy and good at what he does. Dr. Mann is amazing at what he does! He fixed problems with my wife she didn’t even know she had. Great communicator and really works in total health. I couldn’t recommend him any higher! I have been going to Dr. Mann for many years and he has always been such a help. I’ve had a lot of back and neck issues from a car accident and he has made such a difference. Whenever i’m in pain or having headaches, he is so fast to get me in and it is so very appreciated. Over the years, he has taught me some great exercises and stretches to help my back between my visits. He knows what he is doing and is definitely one of the best chiropractors out there. Sean Mann is a natural healer. I felt as if my health, both immediate and long term, were his number one concern. He started my treatment with soft tissue work and really made sure to prep the areas he manipulated. He explained some issues I was experiencing and also the reasons which were likely causing my discomfort. He suggested some different home exercises to offer the most effective results. I highly recommend Dr. Mann and his chiropractic expertise!! Dr Mann is awesome! I’ve had back pain from years of abusing my body snowboarding, mountain biking and wake boarding. Not only does Sean fix you, he shows you preventative exercises and stretches so you don’t have to frequent him as much. I have visited Dr. Mann regularly for the past 8 years. 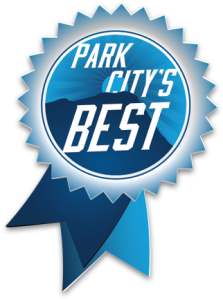 He is the most caring, knowledgable and effective Chiropractor I have found in Park City, and I have tried many of them. Most importantly, Dr. Mann has always made himself available to me in off hours and on weekends, which seems to be when I invariably need him the most. He really cares about his patients. HIGHLY RECOMMENDED! Due to chronic low back pain and lots of sports related injuries that have occurred in many different states, I have seen a lot of different chiropractors. I have NEVER gotten a more comprehensive adjustment or had a chiropractor spend the time with me that Dr. Mann has. He truly cares for his patients and understands sports related injuries.